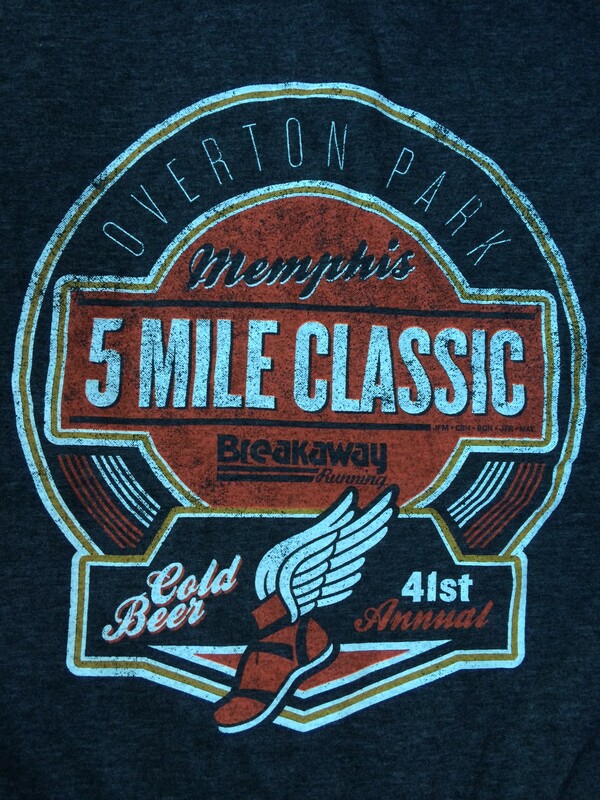 Yesterday morning was the Overton Park Classic 5 mile race here in Memphis. It is the oldest continuously running road race in the city, with this being the 41st year. It is a very old school type race, pretty much just show up and run all out. Unlike most races these days, there was no packet to pickup, no bib to wear, no timing chips. Logistically it was awesome. I was scheduled to run 12 miles, so I woke up very early and ran 7 miles, then drove over to the park. I picked up my t-shirt, threw it in my car, then walked around a bit to stay loose. About 20 minutes before the race was set to start, I followed the crowd down the trail to the start area. The MC went through some announcements, and asked how many people were running their first Classic. He then said it was a tradition to jump in the air and spin in a circle. After a quick demonstration, he counted down and everyone did a jump spin. I thought it was a joke, but apparently it’s real. With that, we were off. …until I realized that mile 4 is almost entirely up hill. This one nearly killed me. While it doesn’t look like much on my Garmin elevation profile, it sure felt like a constant climb. I tried to hold my pace, but I was exhausted at this point. I pushed it as hard as I could into the chute, crossing in 44:32. Not my best pacing, but I felt proud given the terrain and the fact that I had already ran 7 miles before the race. I grabbed some water, drinking some and dumping the rest over my head, before heading to Dunkin Donuts for some food. My legs were shot, I was absolutely wrecked the rest of the day. Luckily next week is a step-back week. All in all it was a solid race. It’s very cheap ($20), doesn’t require a whole lot of logistics and is very simple. It’s a great race with interesting terrain. 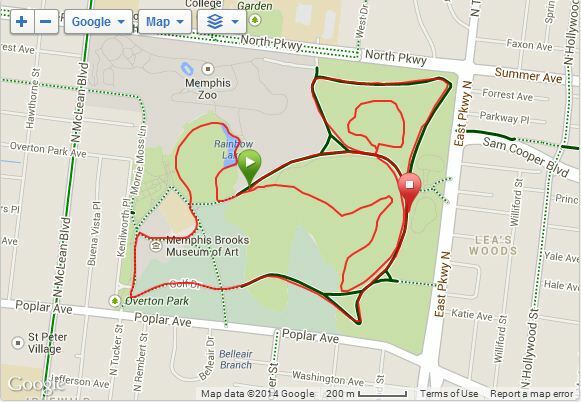 This entry was posted in Races, Running and tagged Overton Park Classic by JB. Bookmark the permalink.